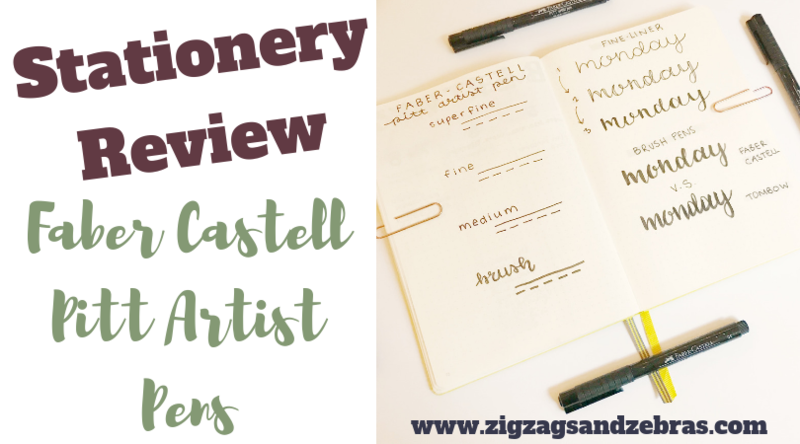 It’s time for another stationery review! I love pens and art supplies, so having a reason to buy more and put them to use is so exciting. 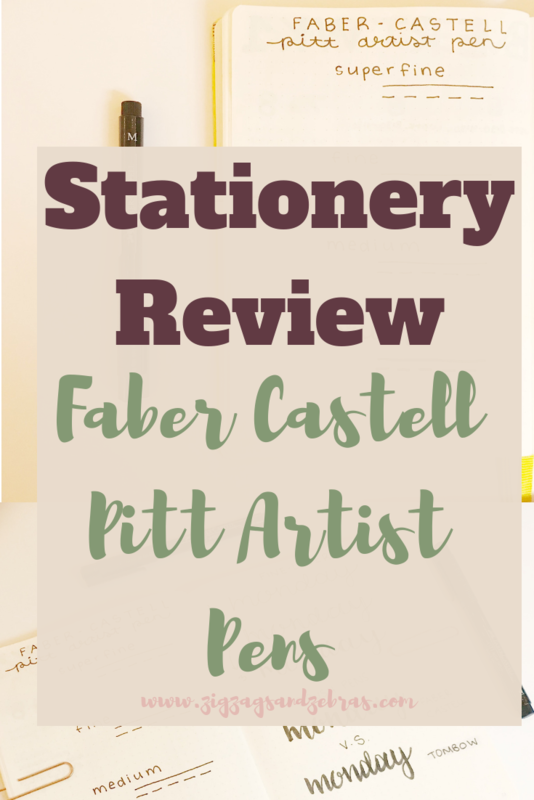 This time I’m reviewing the Faber Castell Pitt Artist Pens. In terms of overall quality, I’m giving these pens a 9/10. The 4 pack (superfine, fine, medium, and brush) currently costs $14.03 CAD on Amazon. One of my favourite things about these pens is the intensity of the black ink, when I compare them to other black fine-liners that I have these come out far ahead of the others in terms of the “blackness” of the ink. 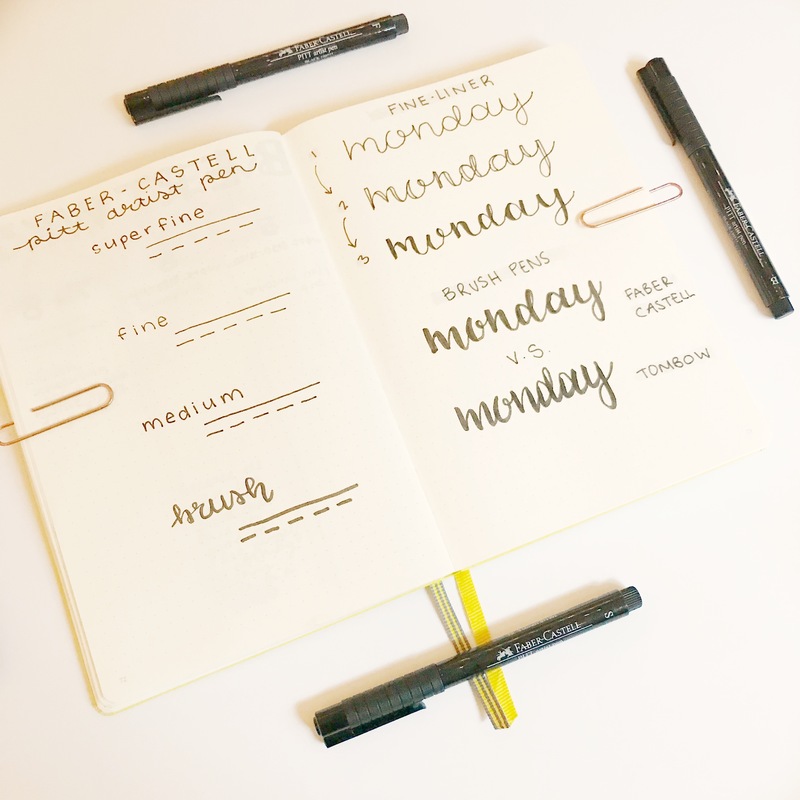 That makes these pens a favourite of mine for my headers and lines in my bullet journal. 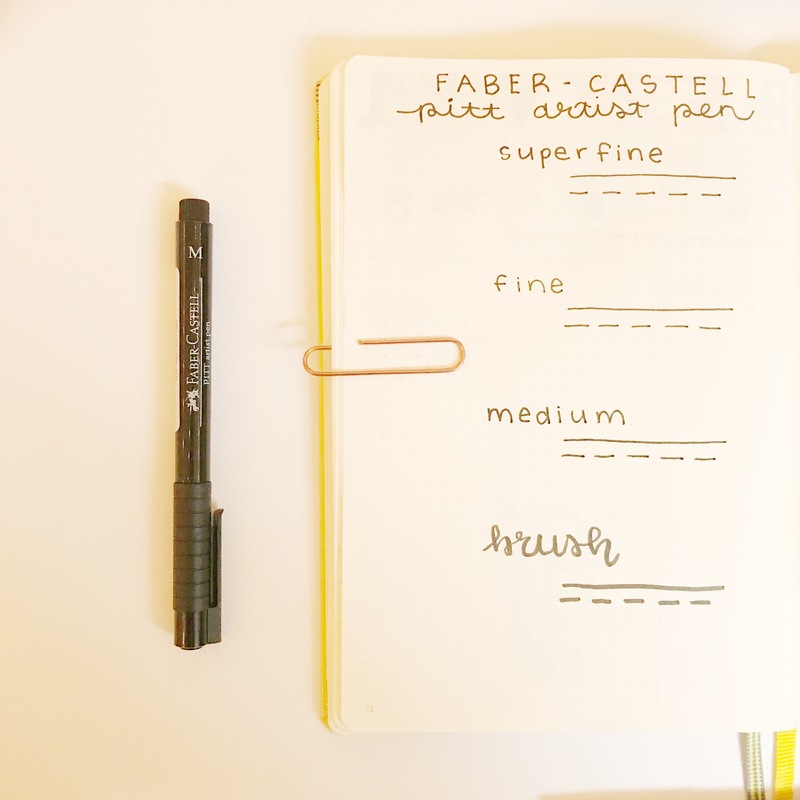 I also find the Faber Castell brush pen easier to handle than the Tombow brush pen – if you are a beginning letterer I’d suggest picking up the Faber Castell one to practice! 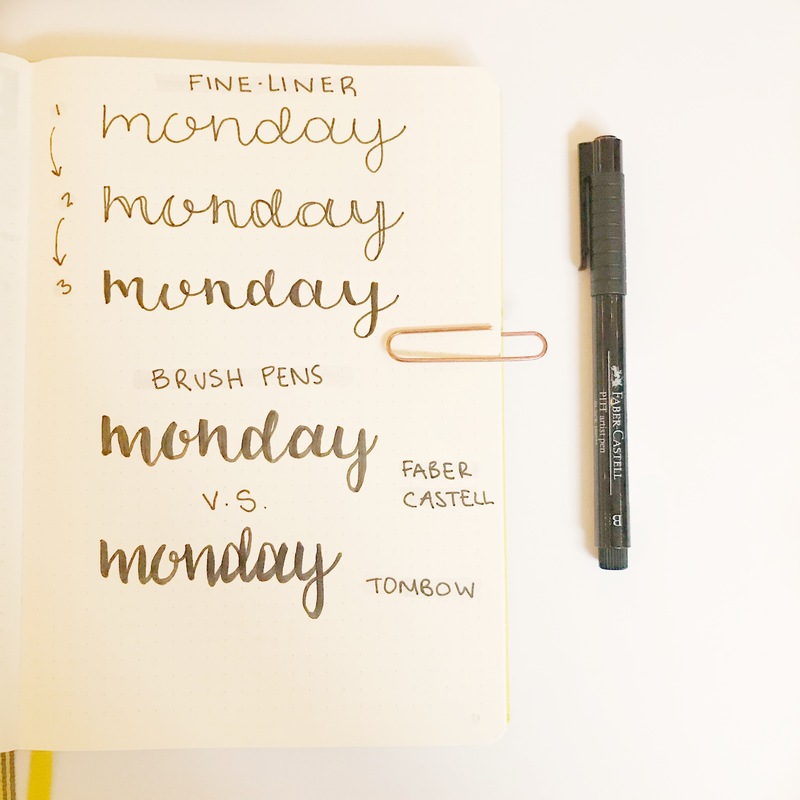 The superfine pen is also amazing – the thinner the fineliner the better in my books. It allows my lines to look so clean and crisp! Honestly, I don’t really have any negatives for these pens. The only complaint I do have is that they don’t come in more colours! If these came in as many colours as crayola or tombows, I would be in stationery heaven. These Pitt Artist Pens make it really easy to do some faux lettering if you don’t have a brush pen handy! In the photo above I also compare the Pitt Artist brush pen vs the Tombow Brush pen. What is your favourite black fine-liner? Let me know below in the comments!